I will very soon stop going on about being robbed, I promise. Just not yet. This time last week I was meant to be hanging out working with my chums at Sampad South Asian Arts as they led a workshop at Al Faisals, one of the founding restaurants of Birmingham’s balti triangle. I couldn’t make it as we had locks to change, banks to speak to, I had a bad head and all the rest of it, so I forgo the opportunity to cook proper naan bread and kebab. A few days later some pictures dropped into my Inbox from Katie, Sampad’s very capable project manager. And for the first time I felt something approaching anger at the robbers who stopped me joining in this fun. Just look at these naans! I like it when working life and personal interest meet. Sampad were at Al Faisals as part of their My Route project, which is gathering the social history of Birmingham’s Stratford Road from Balsall Heath down to Hall Green. It’s an area that has always attracted an immigrant population, from East Europeans to Irish in the post-war period, to Pakistani and – now – Somalis. Birmingham’s balti triangle grew up from this wave of immigration, a condensed area in Balsall Heath and Sparkhill full of curry houses, kebab shops, boutiques selling salwar kameez and as much bling as a girl could ever need. 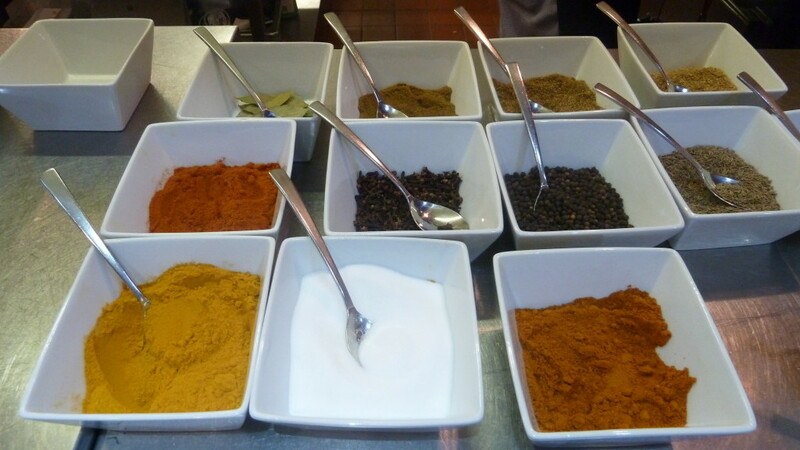 The lucky workshop participants learnt how to make a chicken and vegetable curry and received a masterclass on spices, how to use them and when to add them (you need to temper whole spices, but ground ones will burn). Most impressively, they got up close to the tandoor. This charcoal fuelled burner is the essence of Kashmiri food. In an area full of Pakistani, Kashmiri and Bangladeshi cooking, Al Faisals stands out as one of the best. I didn’t make the workshop but maybe there will be more soon… with the social history, the food, the bling, working on My Route doesn’t feel much like work. Full disclosure: I receive payment from Sampad for working on their My Route project but am under no obligation to blog about it. This entry was posted in Uncategorized and tagged Al Faisals, Balti Triangle, My Route, sampad. Bookmark the permalink.